Dr. Michael W. Thomas graduated from the Dental School at Washington University in Saint Louis, after which he was accepted into the esteemed Dental Residency program at St. Joseph’s Hospital in Denver, Colorado. This was a program to further train dentists who desired a deeper learning and hands on experiences prior to starting a private practice. 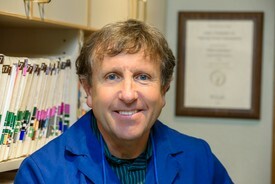 Michael opened his practice with the philosophy that “I am here to serve my patients, for without them, there is no reason for me to be here”. 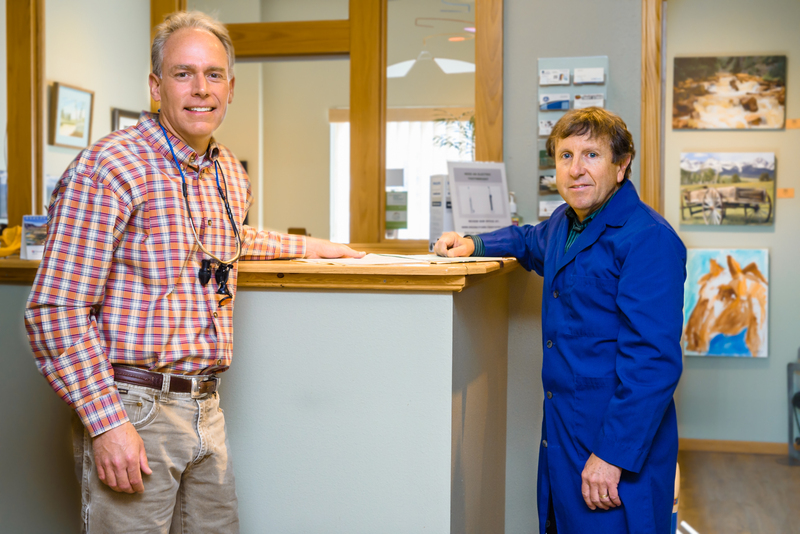 This remains his philosophy today with his goal to always provide the highest quality of dental care to each and every patient. Michael came to Ridgway in 2007 after deciding to leave the city life in Denver and his successful practice in Arvada, CO in order to serve the beautiful, mountainous community of Ridgway. This change has allowed Michael to return to a smaller practice where his relationships with his patients are much more personal. He and his wife, Darcy (married 34 years), love living in Ouray County which enables them to stay active through their favorite sports: road cycling, snow skiing, water skiing, and paddleboarding. They have two grown children, Greg who lives in Austin, TX and Sarah who is in Los Angeles. Keeping the home front safe are Bella, a 110lb newfoundland and Ozzie, a rescue pup of unknown origin along with a ferocious mouser named Gerry. 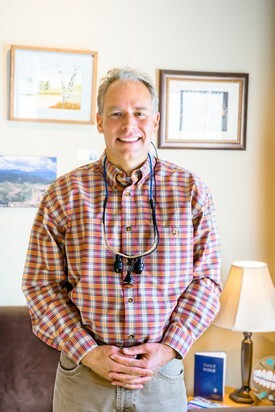 Dr. Todd Southall earned his dental degree at Case Western University in Cleveland in 2001, and went on to do a general practice, hospital-based residency (GPR) at the University of Colorado School of Dental Medicine. Todd, his wife Audra and daughter Courtney, relocated to Ridgway from Tucson, AZ where he had a private practice and worked with the Pascua Yaqui tribe in their dental center. He is a graduate of the prestigious Kois Center for advanced dental education in Seattle, WA and is dental director at Uncompahgre Combined Medical and Dental Center in Norwood, CO. In his spare time, Dr. Southall enjoys watching Courtney play soccer and volleyball, fishing and working on his vintage Land Cruiser. He stays young by trying to keep up with their Jack Russel, Chip AKA as 'their son'!